Don’t rain on my parade!! A week ago I had the privilege of accompanying Tasneem, friend and fellow blogger to the opening night of this classical musical drama at The Fugard Theatre. 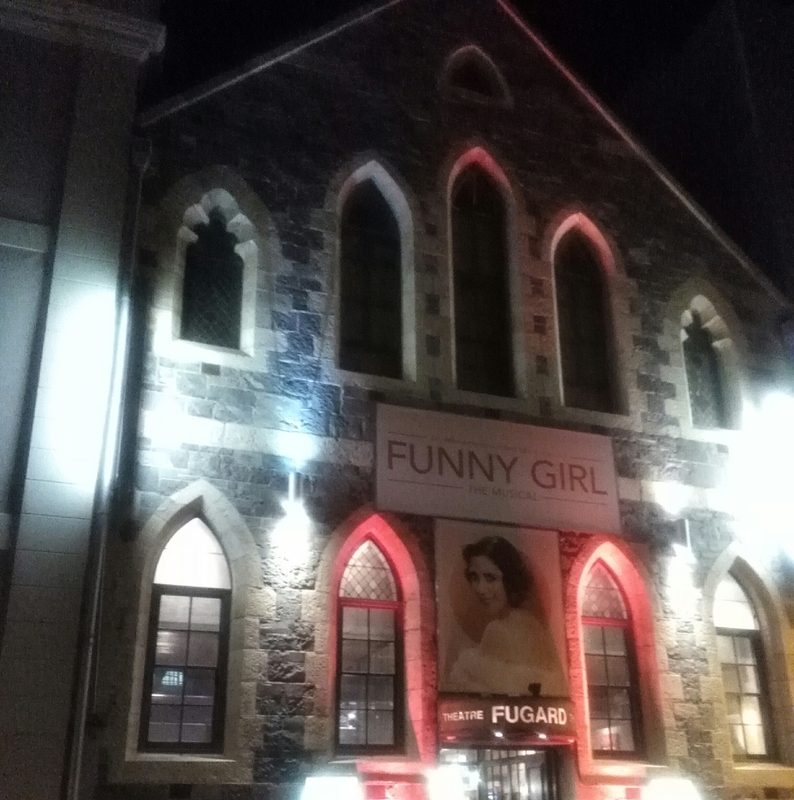 My first time at The Fugard, but it is safe to say that thanks to the beautiful, vibrant, sassy and independent Fanny Brice it will not be my last….she really is a Funny Girl. If you enjoyed the original which stared Barbra Streisand you’ll love this rendition by an all South African cast, they really did a great effort with this show. Like a good theatre show should be, it had the lights, camera and uh action…ok nope it was more a love story with some twists and turns that will play on your emotions….it draws you in and without you knowing you are drying a wet eye. The music was on point, the sets were amazing leaving the audience in awe, and ofcourse the story and actors made the show what is….I was not born when it first opened on Broadway on the 26th March 1964 but I am glad that I got to see it now, Fanny Brice is no ordinary woman and she knows it, she is confident in her ability and this should be an inspiration to many woman today. You will not be dissapointed so grab your ticket soon at computicket before they are sold out. This entry was posted in Uncategorized on April 27, 2017 by shaunjengel. What a better way to end off Good Friday than with some good music….for the soul. 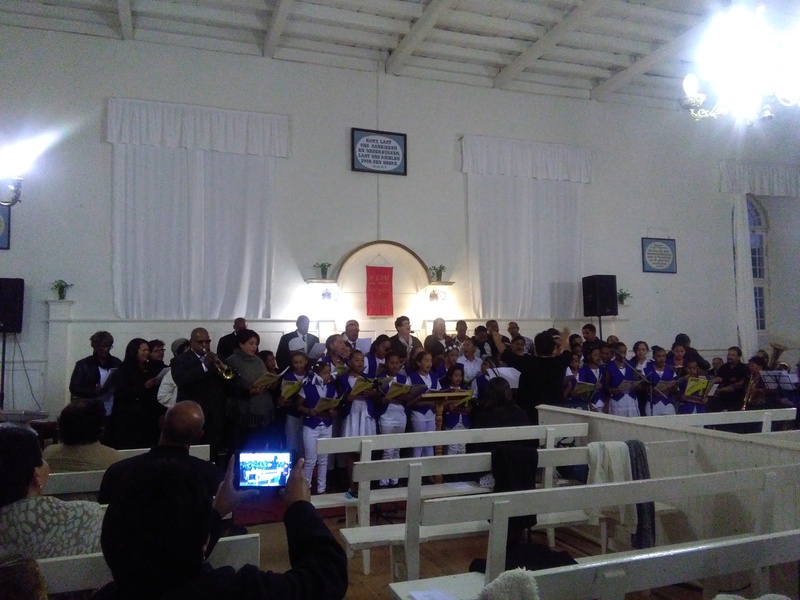 Collin Hopley entertained the congregation of the Moravian Church in the southern most Mission Station in South Africa, Elim. He launched his 2nd CD with an amazing display of local talent which left us breathless…at the end of the night the saying “music is a piece of art, it goes through the ears straight to the heart.”- really rang true to this perfect evening. 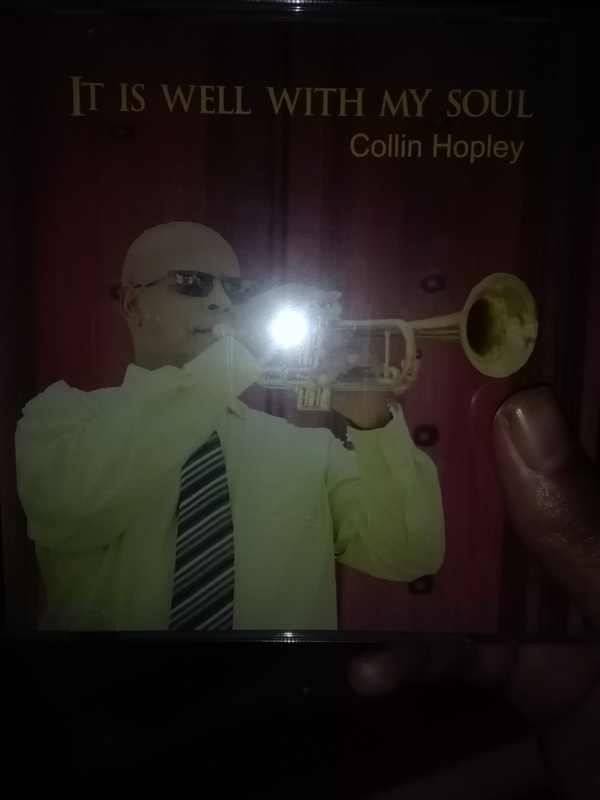 It is definitely well with my soul after the concert on Friday night featuring the man of the evening Colin Hopley playing a few songs off his new album, he was accompanied by the various choirs within the Moravian Church of Elim. Each song had a different story, my favourite was the Elim Junior Koor who sang It’s a small World and For the beauty of the earth, the voices of angels all for the glory of God. Children are the future and seeing them use their talents gives one hope and like the title of the songs, we do live on a beautiful earth with beautiful people and if we use our gifts and are thankful like music it definitely brings people together and makes one realise how small the world really is. The underlying theme of the evening was that we should believe that GREATER things are coming, seeing that it was Good Friday and after 3 days the Resurrection of Jesus was upon us it was a perfect theme….GREATER things indeed. Wishing you all a Happy Easter with friends and family – much love. This entry was posted in Uncategorized on April 16, 2017 by shaunjengel. ​BYPASS the movie that has everybody talking due to its somewhat controversial promotional tactics. And rightly so. The topic of illegal organ trade is one that deserves a stir. The movie, Africa’s first medical thriller, is due for national release at selected Ster Kinekor Movie theatres on Friday, 12 May 2017. Produced by Media Village Productions, Bypass stars well known South African actors Natalie Becker-Aakervik, Hakeem-Kae Kazim, Deon Lotz and Greg Kriek. It highlights the reality of the illegal trade in human organs and its director/producers hope that those who watch it will become organ donors and contribute to the solution. ‘’If there were sufficient legal organs available the need for a black-market trade would decrease significantly,’’ says Samantha Nicholls from the Organ Donor Association of South Africa. Many South Africans have been disturbed by flyers that have been distributed at various traffic lights around Cape Town, promoting organs for sale and directing those interested toWWW.NEWDAYORGANS.COM. These pamphlets, as well as the website, form part of the movie’s promotional campaign – designed to draw attention to a trade that is very real. Husband and wife director/producer duo Shane and Bianca Vermooten have devised these promotional tactics to not only encourage South African’s to watch the film but also as a means of social activism. Their desire is to bring this issue into the public eye. Many filmmakers are proactively addressing burning issues that impact our societies, and Bypass has without doubt joined the conversation with its take on illegal organ donation. The fact that such a noble production comes out of South Africa marks our growth within the industry and how we have evolved in terms of film production. Many slasher movies deal with the topic of organ removal, but in most cases are rooted in gore and scare tactics to thrill audiences. Bypass, however, sends a clear message: Organ trafficking is a frightening reality that prays on the desperation of the wealthy and the vulnerability of the poor. ‘’From the outset of creating Bypass I had three concepts that I wasn’t willing to compromise on. Bypass was going to be in English, it was going to be a thriller and the protagonist had to be a strong female of colour. During our writing process we came across an organ trafficking case where more than 100 illegal operations had taken place in one of our national hospitals. Highlighting a common misconception that black market organs are only traded in far off “African” countries, when often it is taking place right under our noses in “legitimate” hospitals,’’ concludes Mr Vermooten. Of her role in the movie, Natalie Becker-Aakervik says, “I hope that this film creates much needed awareness for organ trafficking and that together we can create a movement that will make a difference.” Natalie and her husband Mikkel are working with the Organ Donor Foundation in Norway (Stiftelsen Organdonasjen) which is celebrating its 20th anniversary this year and as a result the couple are assisting them in creating awareness. As director Mr. Vermooten has balanced the sensitivity of the pain felt by those in need of an organ with the brutality of this practice. From the opening scene, set in a state-of–the art operating theatre in Cape Town, to the closing image you will not be able to miss a beat of this South Africa’s first medical thriller. Visit bypassmovie.com, to view the trailer, learn more about the movie and sign up to become an organ donor. This entry was posted in Uncategorized on April 6, 2017 by shaunjengel.